Jacques Lee Wood: DMA, MM, Yale University; BM, New England Conservatory. Noted for his fluency of playing, and expressive warmth, sensitivity, and technical ease (Boston Musical Intelligencer), Wood’s passion for teaching and research complements a performance career that explores a broad range of interests: from historically informed performance on baroque cello to commissioning, writing, and performing new works on modern and electric cello. 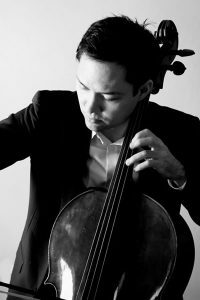 Deeply committed to seeking out new areas in music to explore, Wood is a founding member of the Boston-based Antico Moderno and StringLab, and is currently cellist with the Pedroia String Quartet and resident musician and cellist with the Sumner Quartet at musiConnects (Boston). He is a frequent guest artist with the Grammy-nominated Trinity Baroque Orchestra, Bachsolisten Seoul, A Far Cry, Firebird Ensemble, and Handel and Haydn Society.